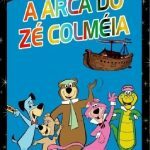 The Roman Holidays is a Hanna-Barbera animated television series that was broadcast in 1972 on NBC. It ran for 13 episodes before being cancelled. Very similar in theme to both The Flintstones and The Jetsons, The Roman Holidays brought a look at “modern-day” life in Ancient Rome, around 63 AD, as seen through the eyes of Augustus “Gus” Holiday and his family. 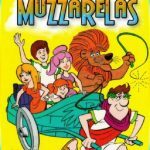 The opening showed a chariot traffic jam and a TV showing football on Channel “IV” An Ancient Roman setting was actually one of the ideas that Hanna-Barbera considered as they were working to create The Flintstones. 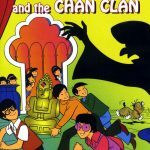 The Amazing Chan and the Chan Clan is a 1972 TV series made by Australia’s Eric Porter Studios for American Hanna-Barbera Studios and CBS. It premiered shortly after what would have been Charlie Chan creator Earl Derr Biggers’ 88th birthday. The voice of Mr. Chan, Keye Luke is the only actor of Chinese ancestry to play the title character in any screen adaptation. Casper and the Angels is a 30-minute Saturday morning animated series produced by Hanna-Barbera Productions and aired for one season on NBC. Casper the Friendly Ghost was a guardian angel for two female motorcycle space cops named Minnie and Maxie in the year 2179. They were joined by a rambunctious ghost named Hairy Scary, who would scare villains and troublemakers, but unlike most other ghosts, was accepting of the fact that Casper was a gentle ghost who did not like to scare people. 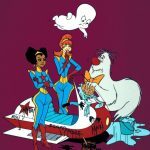 The show was apparently Hanna-Barbera’s second attempt to cash in on the popularity of Charlie’s Angels, the first being Captain Caveman and the Teen Angels. Twenty-six 15-minute segments shown as thirteen 30-minute episodes were produced, as well as two 1979 television specials: Casper’s Halloween Special and Casper’s First Christmas.The show was shown on Cartoon Network and Boomerang for a few years. Space Ghost is an animated television series produced by Hanna-Barbera Productions. It first aired on CBS from September 10, 1966, to September 7, 1968. The series was composed of two unrelated segments, Space Ghost and Dino Boy in the Lost Valley. 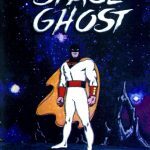 An alternative title, Space Ghost and Dino Boy, is used in official records to differentiate it from Cartoon Network’s late-night talk show Space Ghost Coast to Coast. The series was created by Alex Toth and produced and directed by William Hanna and Joseph Barbera. Despite the title, the two segments remained separate and did not crossover with one another. 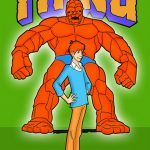 Fred, Barney and the Thing were only featured together during the show’s opening title sequence and in brief bumpers between segments. The unusual combination of a Marvel superhero and The Flintstones was possible because, at this time, Marvel Comics owned the rights to several Hanna-Barbera franchises and were, in fact, publishing comic books based upon them; The Flintstones was one of these. For the 1979-80 season, the series was expanded to ninety-minutes with the addition of The New Shmoo episodes and retitled Fred and Barney Meet the Shmoo. Benji, Zax & the Alien Prince is a live-action Hanna-Barbera and Mulberry Square children’s science fiction television series created by Joe Camp, the creator of the Benji film franchise. The series aired Saturday mornings on CBS in 1983 with repeats airing in the United States and internationally for a number of years through the 1980s. The series was taped in various parts of the Dallas–Fort Worth Metroplex, with interiors taped at the Las Colinas studios in Irving, Texas. 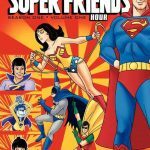 The entire series was released to DVD by GoodTimes Home Video as four separate releases of 3 or 4 episodes each and a single release with all 13 episodes. 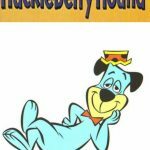 The Huckleberry Hound Show is a 1958 syndicated animated series and the second from Hanna-Barbera following The Ruff & Reddy Show, sponsored by Kellogg’s. 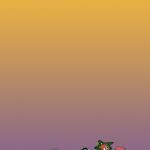 Three segments were included in the program: one featuring Huckleberry Hound; another starring Yogi Bear and his sidekick Boo Boo; and a third with Pixie and Dixie and Mr. Jinks, two mice who in each short found a new way to outwit the cat Mr. Jinks. The Yogi Bear segment of the show proved more popular than Huckleberry’s; it spawned its own series in 1961. A segment featuring Hokey Wolf and Ding-A-Ling was added, replacing Yogi Bear during the 1960–61 season. In 1961, the series became the first animated program to be honored with an Emmy Award. The Huckleberry Hound Show contributed to making Hanna-Barbera a household name, and is often credited with legitimizing the concept of animation produced specifically for television. Yogi’s Gang is a 30-minute animated series and the second incarnation of Hanna-Barbera’s Yogi Bear which aired 16 half-hour episodes on ABC from September 8, 1973, to December 29, 1973. The show began as Yogi’s Ark Lark, a special TV movie on The ABC Saturday Superstar Movie in 1972. Fifteen original episodes were produced for broadcast on ABC, with the hour-long Yogi’s Ark Lark thrown in as a split-in-half two-parter. After a successful run on Saturday mornings, Yogi Gang returned in 1977 as a segment on the syndicated weekday series, Fred Flintstone and Friends. In the late 1980s, repeats were shown on USA Cartoon Express and later resurfaced on Nickelodeon, Cartoon Network and Boomerang. 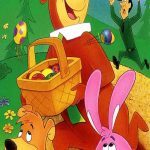 The New Yogi Bear Show is a 30-minute weekday animated series which aired on syndication in 1988 as part of The Funtastic World of Hanna-Barbera’s 4th season. But it was the also the fifth incarnation of Hanna-Barbera’s Yogi Bear. It contained 45 new episodes combined with reruns of the original 1960s Yogi series. 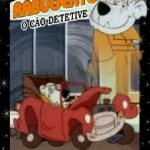 The show also introduced four new characters: Ranger Roubideux, Ninja Raccoon, Ninja Raccoon’s mom, and Blubber Bear from Wacky Races. The Mumbly Cartoon Show was a Saturday morning cartoon produced by Hanna-Barbera Productions featuring the titular Mumbly, a cartoon dog. The show aired on ABC from 1976–1977.